REGULATIONS around the use of chemical and physical restraint in Aged Care will change from July 1 this year. The Federal Government has directed for new regulations to be drafted in response to the recent reports of incidents of over-use of physical and chemical restraints. "The use of antipsychotic medicines must be a clinical decision made by medical practitioners with the care recipient, and their carer or family involved at all times," the Federal Aged Care Minister Ken Wyatt said in today's announcement. "The Department of Health has provided all aged care homes with the Guiding principles for medication management in residential aged care facilities to assist managers and staff to practice quality use and safe management of medicines. "The Department has also provided the Decision-Making Tool Kit - Supporting a restraint free environment in Residential Aged Care to residential aged care homes. "The toolkit emphasises that a restraint-free environment is a basic human right for all care recipients and chemical restraint, such as antipsychotics, should not be implemented until all alternatives are explored." 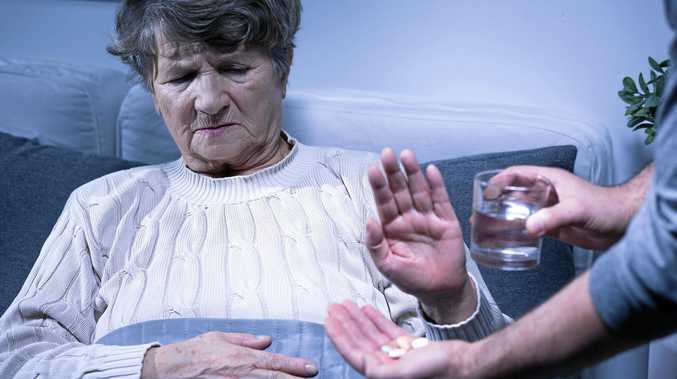 The government has already funded to the tune of $4.1 million two research projects addressing the use of sedative and antipsychotic medications in residential aged care. Those projects were conducted by the University of Tasmania (the RedUSe Project) and the University of New South Wales (the HALT Project). The outcomes from those two projects have been used in Aged Care sector training by Dementia Training Australia.